You’d think that one of the hardest parts of dog sports is the crushing failures. When you set out to do something, then promptly crash and burn because you didn’t know enough, or didn’t think through ALL of the possible ramifications, or the variables required for training a behavior. That’s not it. It’s seeing your dogs’ peers grow old and pass away. Maybe it’s because many Malinois have the beginnings of a white soul patch by the time they hit a year. Maybe it’s because I’ve seen him almost every day of his 11.5 years…But I don’t look at Copper and think of him as ‘old’. The guy still leaps in the air, chases the rabbits (he caught one last year, his first!). 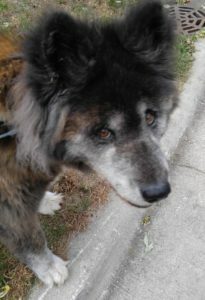 I only just retired him from Agility this spring – He was going to kill himself not slowing down for the dog-walk. He had achieved FIVE Agility Championships. 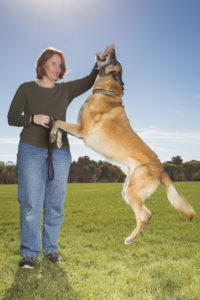 I retired him from Obedience about that time too, but not because he couldn’t do it (though, I’ll admit, at his final trial we used an Exercise Modification to drop the jump height down). I know that several of his old Rally buddies have passed away. 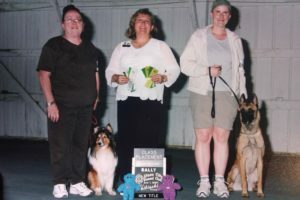 Dogs that got us into the sport, which we ended competing neck-to-neck against. Rally was our first love, our gateway drug to dog sports. His Obedience career spanned 9 years and overlapped with a lot of his Rally buddies, but some were Obedience only. When you compete regularly, with the same crowd, sometimes one of the regulars stops coming to a trial, and you can’t help but wonder. Mary and Herc inspired me to do more. We finished our RAE at the same trial under Donna Darland. I judge too, so I travel around the Midwest for competitions. It might be 6 months between seeing dogs and that’s when the aging hits you. You’ll notice that there’s more grey and maybe they aren’t throwing themselves into it as much as they did six months ago. Other things will stand out too, the lumps and bumps that most dogs get as they grow older. Copper even has some too. 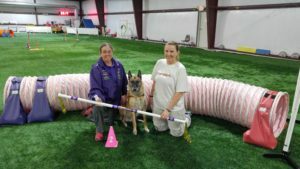 This morning I found out that one of his Agility buddies passed away. 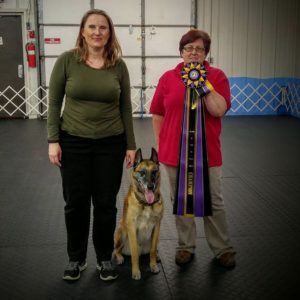 In class these two would regularly ramp each other up, so we kept a close watch to avoid an ‘event’ where a bad decision might be made – Agility can be very exciting and can be difficult in a group class. 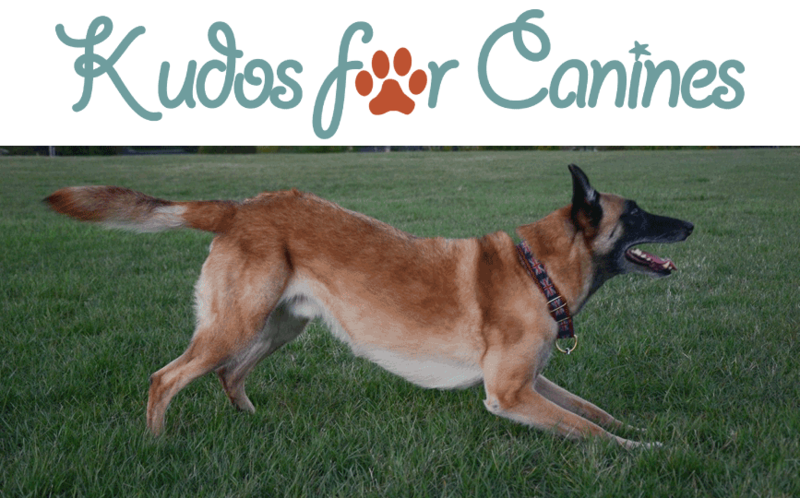 When you have a herding dog, they generally like organization, and the chaos of other dogs running around, having fun, can sometimes be too much. We had excellent instructors who knew the issue, were careful and encouraged using R+ methods to work on keeping them calm. I discovered Control Unleashed which helped me a LOT! I’ve been looking after this dog too. Over the past year, when her mom was out of town, I’d walk her and watch her give the squirrels and bunnies an extra look. She was fun, sweet and full of character. It just hits you though. At any moment you could lose them. You also think about your dogs’ litter mates. To my knowledge, Coppers are all still trundling around the USA, though I know that one of them has ill-health. I do know that Copper has lost at least one half-brother to cancer – the big ‘C’ that everyone hates in every species. Copper’s daddy was prolific and pretty popular in his day – A regular stud! I take comfort knowing that his Mom lived to 15 and his aunt lived to 16. I remember seeing them when they were about his age and they were pretty spry too. All I can say is that every day is special. Treasure them. Give them that extra sniff walk they’ve been begging for. Thank you for sharing memories of Copper & Dede in class – in some ways it seems like yesterday. Wonderful post. Cherish all your todays.